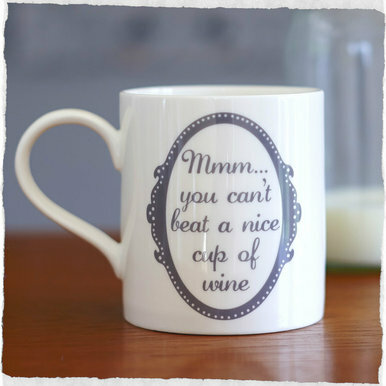 Home › Tableware › You Can’t Beat the Sarcasm of these Cool Mugs by Catherine Colebrook! For those who need caffeine to kick start their day and also have a great sense of humour we have some really cool mugs by Catherine Colebrook – depending on the mood and your alcohol favourites. 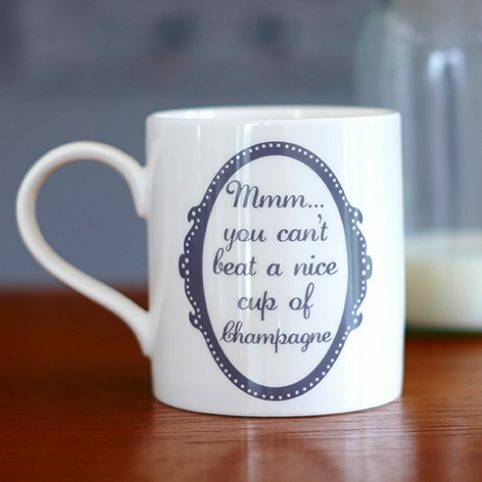 You Can’t Beat a Nice Cup of Champagne, Wine or Vodka are three brilliant mugs that make a great gift to a friend or a can be a funny gift idea for a colleague. 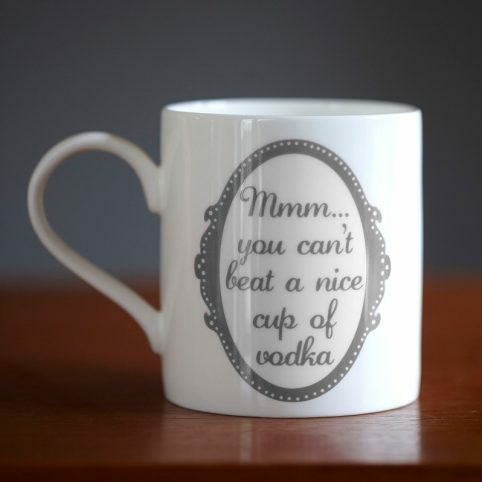 Mmm…Who Can Beat a Nice Cup of Vodka? Catherine Colebrook mugs are made in the UK from fine bone china. You can now buy them online and get 10% OFF if you sign up to our Newsletter. For more quirky gifts for friends or coworkers take a look on our online shop or why not visiting the Spitalfields Lifestyle Boutique or pop in to our lovely South Woodford Shop if you are local. 26 Pings/Trackbacks for "You Can’t Beat the Sarcasm of these Cool Mugs by Catherine Colebrook!" Do you have a spam issue on this blog I also am a blogger, and I was wanting to know your scenario we have developed some nice methods and we are hunting to swap methods with other folks, be certain to shoot me an electronic mail if fascinated. Do you have a spam problem on this blog I also am a blogger, and I was curious about your situation a lot of of us have produced some nice procedures and we are hunting to trade tactics with other individuals, why not shoot me an e-mail if intrigued. Hey! I know this is fairly off subject but I was questioning if you knew in which I could get a captcha plugin for my remark kind? I’m employing the identical weblog platform as yours and I’m having difficulties locating 1? Many thanks a lot! Do you have a spam dilemma on this site I also am a blogger, and I was seeking to know your situation we have designed some good techniques and we are hunting to swap methods with other people, be positive to shoot me an e-mail if interested. Check below, are some completely unrelated internet-websites to ours, even so, they’re most dependable resources that we use. March 23, 2015 - You Can’t Beat the Sarcasm of these Cool Mugs by Catherine Colebrook!